Thank you so much for your awesome comments and wishes, my dears. Have a Lovely Day and JOIN STARPIQ! 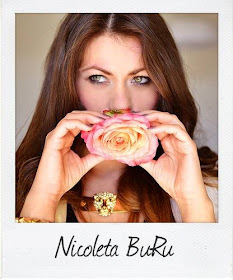 "Nicoleta B, with a high content of Spring-flavored Freshness" ! Love your coat. Beautiful color. Have a nice day. you look stunning <3 i love your pink coat ! Nice coat, love the color! You look very chic as usual...I'm a big fan of rolled up jeans and heels! Adorabile il cappottino! Stai benissimo Nico! Un bacio! the coat are soooooo pretty! !love it!! love your coat! you look great! Love your coat <3 Beautiful outfit honey!!! Me encanta el toque del abrigo, que ideal. Le tue scarpe sono stupende!!!! I love your pink jacket ! Fantastico il cappottino rosa e le scarpe!!! Grazie per la tua visita sul mio blog! Complimenti per il tuo outfit. perfect colors and of course ur shoesss woow! The coat is so perfect! You're very pretty! I love your coat and your shoes!!!! ma che bello il tuo cappotto, mi piace molto! bellissime le scarpe!!! un bacio!!! you couldn't look prettier, girl! Foarte frumos paltonul, ai creat o tinuta grozava in jurul pantofilor. What a perfect colour for a coat! Maybe you could check out my blog, and if you'd like we could follow each other :)?? Que guapa estas NIcoleta, el abrigo y los zapatos preciosos, ya te conocia de Chicismo. Me gusta mucho el abrigo. ¡Que guapa! Los tacones son preciosos. Tengo unos por el estilo desde hace varios años. Hombre no son Miu Miu, pero se parecen bastante. Muchas gracias por tu visitilla, me apunto tu blog y espero verte pronto de vuelta por el mio. Yo seguro volvere. Hi doll, that is the most beautiful coat, love the vibrant hue, looks fantastic! Precioso el abrigo, me encanta todo tu look. che belle le miu miu! Pretty coat. Thank you so much for your comment and your invitation. Fierce and sassy style! There aren't too many mary jane pumps or shoes with two or more straps that are stylish. These are a real exception. The T-shirt with the studded motorcycle jacket is very cool. Stylish coat and some lovely jeans. Nicoleta, this is a lovely outfit you've put together! Not sure if this is my first time commenting on "REINVENT YOURSELF," but I'm pleased to be here and comment on your style. adore the shoes and coat! very stylish, i love your pink coat!!! That coat is perfect on you my darling! that is one lovely coat. the color looks good on you, too. Very nice look, I like this pink color! Check out my page, maybe would you like to follow? Hope so! Kisses! Perfect coat and shoes. Have a great day. me encanta el abrigo y los zapatos, son preciosos!!!!! You look fabulous, awesome coat! you are great dear! have a great day sweetie! favoloso questo cappottino e le scarpe di MiuMiu!!!! beh queste scarpe sono a dir poco stupende!! Love your pop of color and especially those fierce heels. Sei bellissima!! Adoro le scarpe e il cappottino!! Lovely outfit and lovely space! Wow you are so glamorous. I love your coat is too cute and the shoes are great. Kisses dear. Gorgeous outfit! you look stunning in it! so love the coat and your shoes, very chic! Gorgeous outfit. Thanks for following me on bloglovin and twitter. Following you back on both. I like how in one of the pictures, you have the same pose as the image on your shirt! Yes I love the coat too :)very chic. Nico I so much want your coat!!! It's going to be super hot next FW too! Sweetie, you look fabulous!!! What a lovely coat:) BTW I can see my name on ur panel now!! It's weired that u didn't see it :) I'll follow u on fb too! I hope u will follow me back to keep in touch! Hi thank's for the comment, I already follow you!! Wow love youe she..lovely outfit. you look amazing as always! !the shoes are gorgeous!you look so pretty honey!thanks for your comment! lovely coat!!! I like it! I love your coat my dear! I just discovered your blog and I follow you! I hope you follow back! I love that coat, its gorgeous! You look cool and pretty, xoxo. Sei bellissima, i tacchi sono meravigliosi e amo il contrasto del cappottino rosa con il muro giallo :) kiss! You look fabulous and love your gorgeous coat. Amazing outfit, the coat is so beautiful! hey do you wanna follow each other? I love pink.. and I don't have any coat of this color! I love yours! The print of the t-shirt is great! You look amaizing! Il cappotto e le scarpe sono bellissimi! Da adesso ti seguo!! Love how your bright pink coat pops against the denim and the white shirt! gorgeous look dear!!! i really like your coat :) do you have a link where i can find that? btw, you should take a look on my new outfit post! Wonderful coat, and the color is very beautiful so juicy and colorful! Nico quel cappottino rosa ti sta da dio...e quelle scarpe sono favolose !! Bellissimo il colore del tuo cappotto! Your shoes with those jeans are gorgeous!! this coat looks great!love your shoes too! Thaaaank you so much, my awesome friends!! !